Nearly three decades extensively working from painting to installation to sculpture involving anything from everything: in his words. Spring 2006 Jafar has created some very unusual installation form of sculpture including “Wonder Nature” at Sir Hillier Gardens 2006, “The Wonder Burghley” at the Burghley Sculpture Garden 2007, “On My Way” at the Botanic Garden University of Leicester 2008 and Falling Leaves / Wonder Nature at GSK 2009. These projects were a site-specific Installation form of sculpture containing 5-7 and 12 structures. The presentation combines paintings, drawings, blown glass, fused glass and pure interaction with its natural surroundings. Over the time, the sculpture has evolved with additional 26 structures to a current project ABU JAFAR - HOPE is going to exhibit through out this summer at the Monnow Valley Sculpture garden, Herefordshire and Beam Sculpture Park, Wakefield. The latest extensions have added some new dimension to the installation. Wonder through the windows and look beyond. Jafar sculpture is about celebrating our ever-changing curiosity of mind and symbolises the beauty that keeps us wonder in every step we make and every angle we look. It is the endless journey to find a betterment of our unknown needs. The journey to in which we are going through our hopes and visions, each day creating a new chapter and looking forward to seeing something more that is undisclosed. Every structure signifies metaphorically the letter H for hope, and the window on the structure signifies a window of opportunity driving endlessly forward. Some ornaments of this sculpture will reflect the beauty of the nature and light the way it beam throw in our memory and our every day life today. These sculptures are all about nature wonder where our mind explores like biomedical science reading through pulse and looking through eyes and discover. This sculpture has a sense of finished and unfinished mood that creates a question mark like a jigsaw puzzle. It offers a new way of looking at and discovering. Taking his inspiration from psychology, philosophy, classical music as well as day-to-day human existence. By producing art that is far from traditional, He is actively attempting to shatter staid ideas of the past regarding art; his art is the synthesis of colour, element and presentation twisted into unusual form. Most of his large scale Installations involved nature, public and the environment. His work simplifies our daily lives and the diversity of mankind in his imaginative notion in a way that reflects imaginative power and ever changing creative forces of new formative arts. In late January 1995 he moved from London to Brockhall Village at the heart of the Ribble Valley, Lancashire. 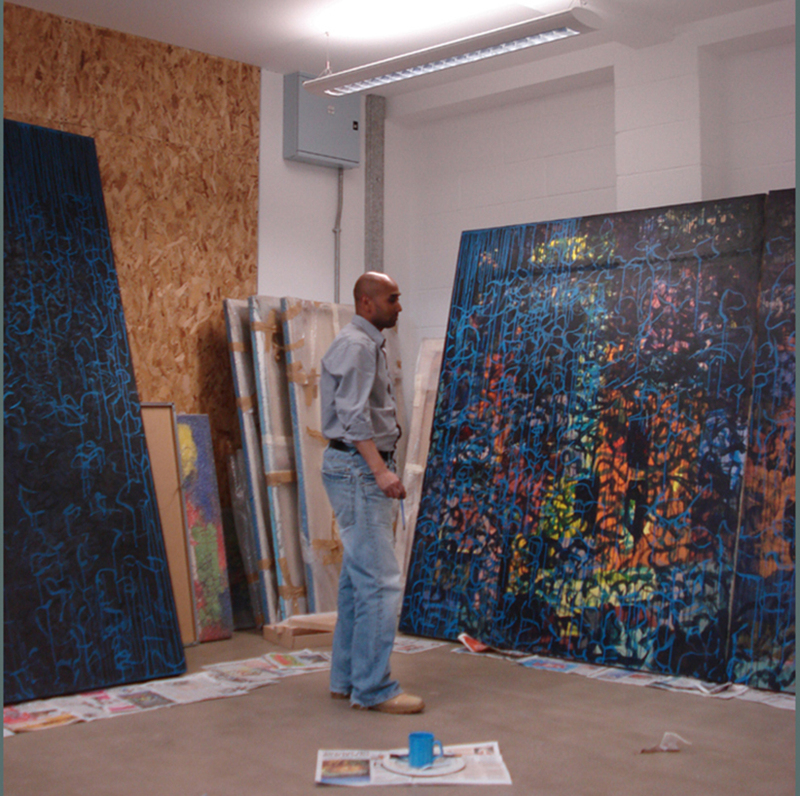 In November 1996 he back to London and in 2005 Jafar move to Kings Langley then in 2008 at The Art House, Wakefield UK.